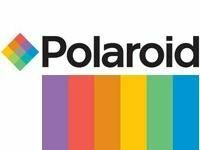 If you miss the good old Polaroid camera with its 'point, click, shake, marvel at the dull colours' experience then hope walks tall in the form of Takara Tomy's new printing digital camera. The Xiao TIP-521 is a 5-megapixel camera that looks much like any other low-end model, except for the fact that its body houses a tiny digital printer. For the ¥34,800 (£227) this thing will cost when it launches in Japan on 28 November, you get to output wallet-sized 2x3-inch photos that use the Zink technology we've seen before. Zink relies on coloured crystals embedded in the paper that activate when heated by the mechanism in the appropriate areas. The Xiao camera itself is no great shakes – 5 megapixels and a fixed-focus lens are nothing to write home about – but it'll be interesting to see how it fares in the world of the cameraphone, where printing pics is long forgotten.